Can Guinea Pigs Eat Kiwi? It’s time for some nice fruit treat like kiwi! Surely, most people love kiwi; refreshing, acidic, sweet enough and with a very specific pleasant taste. Have you ever thought if our pets can consume this? If you own a guinea pig, you know that they are vegetarian and herbivore pets, so kiwi might be a good choice. But, we need to make sure that this is safe and good for the guinea pig – regardless that kiwi is a fruit. Let’s find out if guinea pigs can consume kiwi, so check out the sections below. Can guinea pigs eat kiwi? Yes, guinea pigs can eat kiwi. But, this should be given in moderation because this fruit contains sugars and guinea pigs don’t digest sugars well. Their stomachs are not designed for sugars. Otherwise, in moderation, the kiwi is a good fruit that has nutrients which are good for the guinea pig. One of them is the crucial vitamin C, and kiwi has lots of it. But, let’s see all the good and bad things about kiwi as fruit for the guinea pig. Kiwi is very tasty and versatile as a fruit. And yes, guinea pigs like it and they can eat it safely when served in moderation. It is the job of the owner to research the benefits and risks of any food for the pet, and also to plan out the amount of servings and frequency. In this article we will also see what nutrients are present in kiwis, why are they good for the guinea pig, what risks are there from eating kiwi and also some interesting facts too. So keep on reading! Healthy weight – kiwi is low in fat and calories. If your guinea pig loves to chew on a kiwi, you don’t have to worry about obesity risks! Healthy digestion – the fibers in the kiwi will make bowel movements better and more regular, especially if the cavy suffers from constipation. Energy – the proteins and carbs in the kiwi will give energy to the guinea pig. They are the essential energy sources that make any organism function well on daily basis, and for any activity. Antioxidants – with the antioxidants in the kiwi, such as vitamin A, the guinea pig will be at less risk for early aging that can bring different diseases along the way. Inflammation will be prevented and relieved, and good immunity will be kept for longer. Prevention from scurvy – the vitamin C in the kiwi prevents the dangerous disease scurvy which is a big risk for guinea pigs. It manifests with severe symptoms like a rough coat, swollen joints, internal bleeding, loss of appetite and diarrhea. 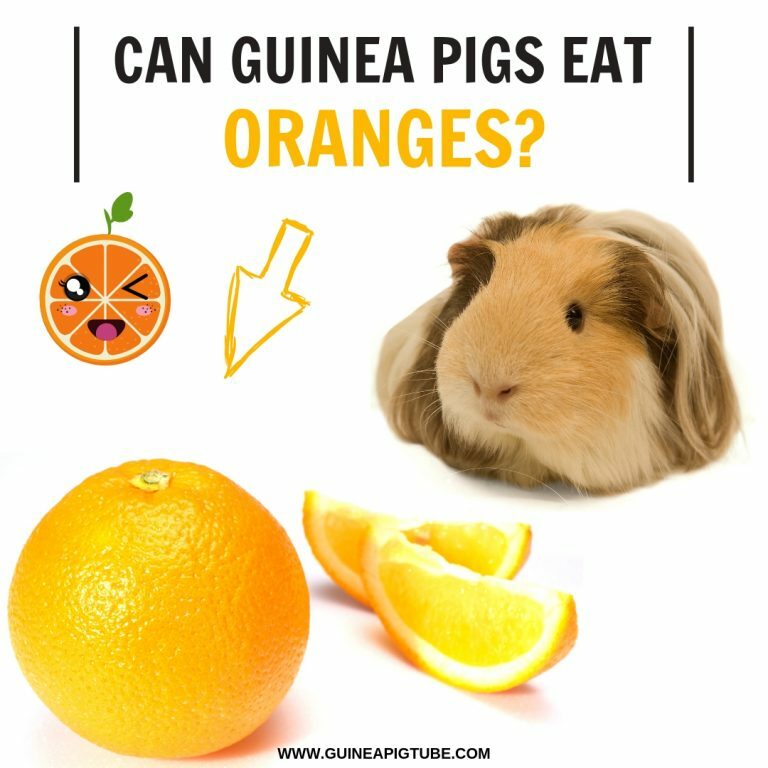 Guinea pigs don’t produce this naturally, so food and supplements with vitamin C help them keep their health. Healthy skin tissue and good eyesight – the vitamin E contributes to good eyesight and healthy skin tissues, as well as for less inflammations of the skin. Prevention from excessive bleeding after injuries – vitamin K ensures there is less blood loss in case an injury happens because it contributes to healthy blood clotting. Relieving aches and pains – the mineral magnesium relieves aching muscles and keeps them in perfect shape. This goes for the muscle of the heart too, so magnesium also makes the heart healthy as well! Healthy cardiovascular system – with the low amount of fat and zero cholesterol (among other nutrients too), the whole cardiovascular system will work properly and there will be no risk of cardiovascular issues like pressure, stroke, heart attack and similar. Low in calories – 61 calories. This is good because the guinea pig will not be at risk for obesity or weight gain. Fibers – 3 g. Fibers are essential for good digestion and for keeping the stomach active and working well. Low in fat – 0.5 g. Such a low amount of fat is good because the cardiovascular system will stay healthy for longer periods, and blood vessels will be unclogged. This lessens the risk of stroke, hypertension or hypertension. Proteins and carbs – 1.1 g protein and 14.7 g carbs. The carbs and proteins are main sources of energy among other nutrients, but these are essential for proper health of an organism. Vitamin A – 2%. This vitamin acts as an antioxidant and keeps all organs healthy. It basically ‘hunts down’ the free radicals in the body. Those free radicals can cause early aging. Vitamin A keeps heart, lungs, kidneys, skin, and brain in good health, so with this in mind – it keeps the immunity perfect. Vitamin C – 155%. This sounds like great news for the guinea pig! 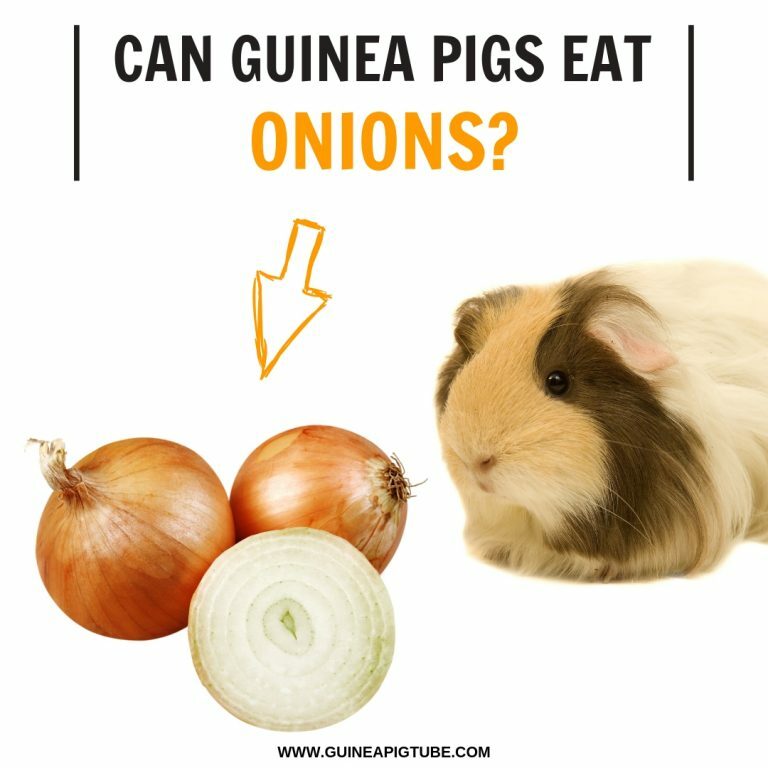 The cavy needs this vitamin to survive and to be in perfect health, especially since guinea pigs are prone to a dangerous disease called scurvy. With enough vitamin C, the risk of scurvy is at a bare minimum. Vitamin E – 7%. The vitamin E is essential for healthy skin tissue. It slows down aging and prevents skin issues that may arise. But, there are other benefits too, like prevention of inflammation, better eyesight, and even less risk of certain cancers. Magnesium – 17 mg. This mineral helps in relieving aches and pains all over the body. This goes especially for muscles that are sore or in pain, and also the heart muscle is kept in good shape as well. No cholesterol – zero cholesterol is amazing news when it comes to heart health and overall health. If the blood vessels are unclogged from cholesterol, there is less risk of hypertension, heart attack, stroke or similar issues. Urinary problems – there is 34 mg calcium in 100 g of kiwi fruit. This is a high amount of calcium and this is not good for the guinea pig. Too much calcium gets accumulated as deposits in the urinary tract of the guinea pig and causes problems like painful urination, blood in the urine, urinary infections, and often bladder or kidney stones. This can progress to a fatal renal failure unless cured in time. Bad digestion – in 100 g of kiwi there is 9 g of sugar and 3 g of fiber. We mentioned that fiber is healthy for digestion, but an excess of fibers can upset the stomach and can cause loose stool or tummy pains. How often and how much kiwi for the guinea pig? The kiwi has many good nutrients for the guinea pig, such as the most important vitamin C, but it also has sugar. Because of this, limit the servings and the frequency. You can give a few small chunks or 2-3 thin small slices of kiwi, a few times per week. Can guinea pigs consume the kiwi with skin (unpeeled)? Peel the kiwi, definitely! The fuzzy, hairy layer of the kiwi is surely not tasty, or good for the fragile tummy of the guinea pig. But, the flesh of the kiwi is safe to consume.